I got a new RAIN JACKET! My mom ordered it for me and when she took me out in the rain today she put it on me so I would stay warm and dry. It doesn’t have a hood so my head still gets wet, but my back and body don’t get wet. 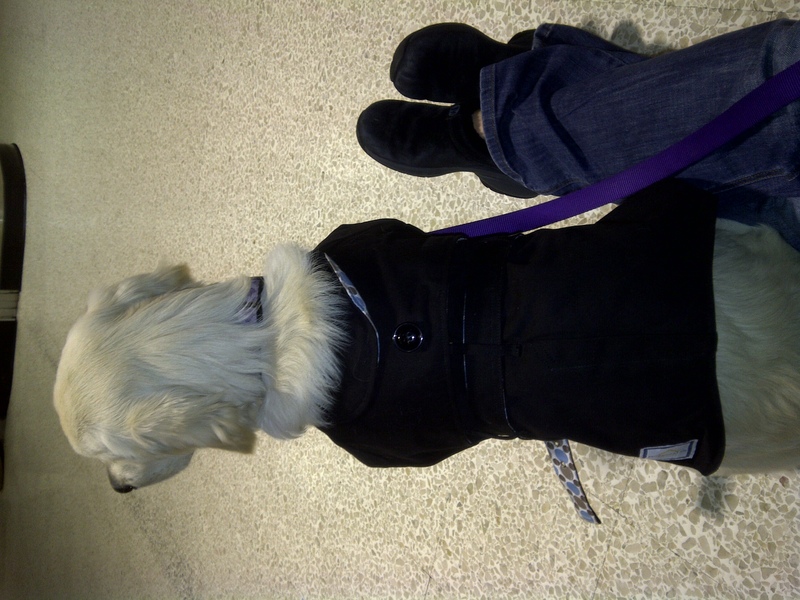 I was a really good girl at the airport today waiting for our new guests to arrive. I greeted everyone and sat patiently in my new jacket.